Weight was never an issue for Mary Henderson. As a nun in a ministry serving the town of Greenwich in Washington County, she was active in her community. For recreation, she loved days at the ballpark and going on long hikes with her father. This changed around the time Henderson celebrated her 30th birthday. She was diagnosed with depression, and the associated medication contributed to her gaining more than 100 pounds. Despite short-term success with several diets and other attempts to lose weight over the next 20 years, she could not keep the pounds off. Her situation was complicated by back problems and chronic Lyme disease. In early 2016, she stepped on a scale to find she weighed 326 pounds – the largest she had ever been. Henderson’s primary care physician, who had been working with her for several years on an individualized weight loss program, suggested she consider the possibility of weight loss surgery – also called bariatric surgery. Henderson invested time learning about the different types of bariatric surgery, and the various health care systems throughout the Capital Region that perform the procedures. After much research, and after getting cleared by her primary care physician, Henderson decided to pursue the surgery. She set three post-surgery goals for herself: One, to get on a plane and visit her 84-year old father in Colorado; Two, to pursue a new career and get back into the work force; and Three, to embark upon the Camino de Santiago pilgrimage from the Pyrenees in France to Galicia in northwestern Spain. At the recommendation of a friend, she sought out and met with Matthew D. McDonald, DO, FACS, of Samaritan Hospital Bariatric and Metabolic Care in Troy, a practice of St. Peter’s Health Partners Medical Associates. After her initial appointment, she chose him to guide her weight loss journey and perform the surgery. Dr. McDonald and his team worked closely with Henderson in the months leading up to her surgery. She lost the required five percent of her body weight, and underwent a series of medical exams and consultations. 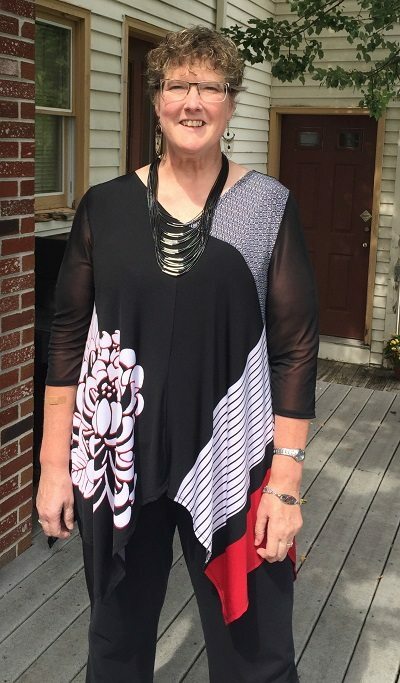 Thanks to her resolve and reinvigorated dedication to a healthier lifestyle, she lost 30 pounds before even setting foot in the operating room. The day of surgery arrived, and Henderson underwent a full gastric bypass. During this minimally invasive procedure, performed with a laparoscope and requiring only small incisions, Dr. McDonald created a tiny stomach pouch, and then rerouted a small section of small intestine to the new pouch. By allowing food to bypass parts of Henderson’s stomach, the procedure drastically reduced the amount of food that she can eat at one time, which in turn greatly decreased the number of calories her body can absorb. The surgery was a success, with zero complications. By two weeks after the procedure, Henderson had lost an additional 20 pounds. She was back at the gym, able to walk about 13 minutes before feeling dizzy, and looking forward to once again lifting weights. Four months after the surgery, Henderson’s life was on a completely different trajectory. She had lost nearly 70 pounds, was eating well and tolerating a wide variety of food. She was fully invested in her new healthy lifestyle, and sticking to her plan. “I feel absolutely fabulous,” she said. She was in the process of packing up her home and moving to New Hampshire, where she would soon begin a new career tutoring children with dyslexia. Before moving east, however, Henderson would accomplish another of her three pre-surgery goals. She had already purchased a plane ticket to Colorado, to spend time with her father and treat him to a day at the ballpark. Henderson said she was surprised how quickly her strength and stamina returned to her. 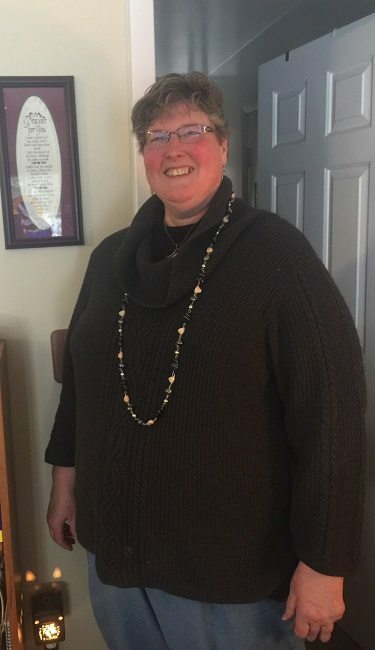 She continues to be more active, and as questions arise she is able to contact Dr. McDonald or other providers at Samaritan Hospital Bariatric and Metabolic Care as needed, or during her regular appointments. “It feels so good to move. I am able to do things again that I had not been able to do for a long time because of my weight. Having an extra 100 pounds narrowed and limited my life. Now, if I want to go for a walk, or a bike ride, I just do it,” Henderson said. Henderson is not alone in her struggle with weight loss. Many people, at some point in their lives, have tried different diets or weight loss programs, in combination with various gym or club memberships. Sometime they are successful in losing weight and keeping it off. More commonly, however, lost weight is regained within a few months. The severity of Henderson’s extra weight is also not unique. An estimated nine million people in the United States are affected by clinically severe obesity. Often times, this extra weight also increases their risk for many other diseases including diabetes, heart disease, stroke, and sleep apnea. When non-surgical approaches to weight loss are unsuccessful, surgery may be an option for individuals who meet certain criteria, Dr. McDonald said. It’s a time-tested procedure, covered by most insurance plans, and many patients who have undergone bariatric surgery have lost up to 70 percent of their excess weight. The decision to pursue surgery, however, should not be made lightly, Dr. McDonald said. To be considered for weight loss surgery, patients generally have a body mass index (BMI) of 40 or above, or weigh 100 or more pounds over their ideal body weight. Patients with a BMI of 35 or above, who also have a significant weight-related illness such as diabetes, arthritis, or sleep apnea, may also be considered. Patients must also have the approval of their primary care physician, must be at least 18 years old, and may not smoke or have any drug or alcohol dependence. Most importantly, Dr. McDonald said, patients must have a personal ongoing commitment to lose weight, to be healthier, and to improve their lifestyle. After attending an informational session and an initial visit with Dr. McDonald, patients who want to proceed begin a series of appointments and consultations with different physicians. They see a nutritionist and behavioral health specialist. They have blood drawn and other lab work done. They get an upper gastrointestinal exam, a cardiac screening, and a sleep study, and other exams as necessary. At Samaritan Hospital Bariatric and Metabolic Care, all of these services and providers are located in the same office to make the process as easy and efficient as possible for patients. One of the providers even had a firsthand account of the process, having undergone bariatric surgery 10 years ago, she said. Dr. McDonald often gets asked why weight loss surgery patients see a behavioral health specialist. There are two main reasons, he said. First, bariatric surgery patients are committing to a path and lifestyle that are not always easy. As they undertake making major changes to their diet, eating habits, and physical activity, it is important for them to receive support, encouragement, and advice from medical professionals. Second, obesity is often accompanied by other conditions such as depression, anxiety, eating disorders, addictions, or post-traumatic stress disorder, Dr. McDonald said. “To help set patients up on a path to success for weight loss surgery, these accompanying disorders absolutely have to be addressed and treated,” he said. After a patient has undergone the required screenings and assessments, seen the different specialists, and demonstrated their commitment to the program by losing at least five percent of their body weight, then they may be ready for weight loss surgery. This process can take anywhere between six weeks to six months after a patient’s initial visit, Dr. McDonald said. Gastric bypass, the procedure Dr. McDonald performed on Henderson, is among the most common weight loss surgeries performed today. It is a minimally invasive procedure, often performed with a laparoscope or surgical robot. Patients are usually up and walking around the same day, and returning to normal activities within a few weeks. Vertical sleeve gastrectomy is the most common weight loss procedure performed in the United States. It entails stapling and dividing the stomach, removing up to 90 percent of the stomach’s capacity, and greatly reducing the amount of food that can be eaten. The procedure is often performed with a laparoscope, though the recovery time is somewhat longer than a gastric bypass. A crucial part of a patient’s weight-loss journey takes place after the actual procedure, Dr. McDonald said. Reverting back to previous habits or lifestyle after weight loss surgery can pose a big risk, both physically and mentally, so it is very important for physicians to continue to be a source of help, support and education for patients. Dr. McDonald said he follows his patients for a minimum of five years, but usually for their entire life. Henderson, even though she moved to New Hampshire, said she intends to remain a patient of Dr. McDonald’s and make the trek to Troy every year for a check-up. 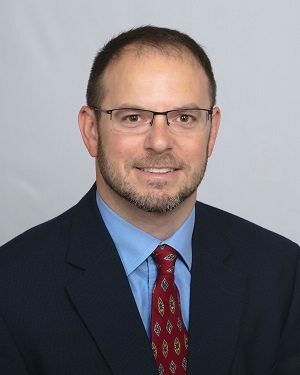 Dr. McDonald joined St. Peter’s Health Partners in 2016, after four years as an assistant professor of surgery at State University of New York Upstate Medical University in Syracuse, and two years as director of bariatric/minimally invasive surgery at Saratoga Hospital’s Center for General and Minimally Invasive Surgery. He is a veteran of the U.S. Army. Following the completion of basic training in 1998, he served as a second lieutenant in the Army, and was promoted to captain in 2001 and major in 2007. During Operation Iraqi Freedom, Dr. McDonald served as director of trauma for the 86th Combat Support Hospital deployed to the city of Mosul in northern Iraq. From 2008 to 2010, he was chief of general surgery, bariatric surgery, and critical care at Keller Army Community Hospital at West Point, New York. Dr. McDonald said he is inspired, every day, by the determination and strength of his patients. It is critical for a patient to feel supported during their weight loss journey, Dr. McDonald said. Prior to surgery, candidates are required to participate in patient support groups. Along with hearing from medical professionals, these groups are a great opportunity for patients to hear from other patients who recently had the surgery. Both pre- and post-operative patients share their stories, are there for one another, and learn from each other’s experiences, he said. It is also important to have a strong personal and family support. Henderson agrees, and said she would not have been able to undertake the surgery without her support network. Her best friend took off time from work and traveled from New Hampshire to stay with her for the first five days following surgery. After that, a friend who lives locally stayed with her for another five days. 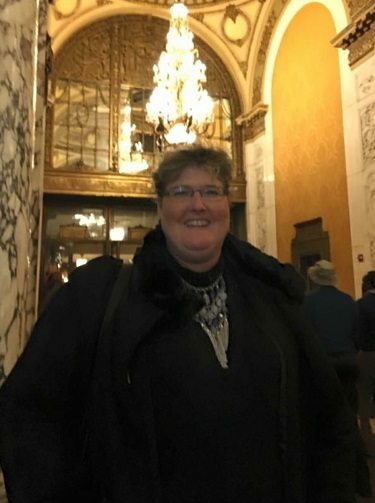 Henderson said she is forever thankful to these friends, and to the new friends she met face-to-face through Samaritan Hospital Bariatric and Metabolic Care and through the practice’s Facebook support group. Some visited her in the hospital and at home, while others communicated with her digitally. All of them offered words of support, and were able to answer many of her questions. Prior to having bariatric surgery, Henderson said whenever she felt stressed, lonely, or bored, her response was to console herself by eating food. Post-surgery, her relationship with food is entirely different, and emotional eating is no longer an option. More than a year ago, after making the decision to have bariatric surgery, Henderson was secretive about her plans. She said she felt shame and a sense of failure for not being able to permanently lose weight and keep it off on her own. Today, however, having traveled her path, undergoing the procedure, and receiving so much support from so many people, those thoughts are just a fleeting memory. Henderson said every day she gets closer to her goal weight range of 195 pounds to 205 pounds. In her heart of hearts, however, she has her sights set on getting down to 185 pounds – a number she has not seen on the scale for many decades. So far, she has accomplished two of the three post-surgery goals – visiting her father and getting a new job – she set for herself. Is her third goal, a trip to France and Spain to journey the Camino de Santiago, still in the cards? LiveSmart: Is it Crohn’s Disease or Colitis?